There’s all sorts of work from home jobs out there — freelance, full-time, part-time, and even one-off gigs that are great for extra beer money or to make a quick buck here and there. 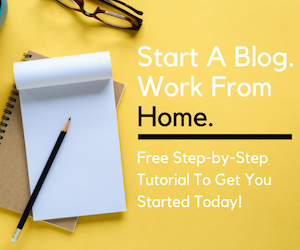 But, what if you want to keep your day job while taking on a super flexible home-based job that lets you pick and choose the projects you work on and when? Sounds too good to be true, right? Wrong! In fact, a growing number of companies offer flexible enough remote jobs that allow you to moonlight from home all while hanging onto your steady day job. ModSquad is just one of these companies — and the subject of this blog post. 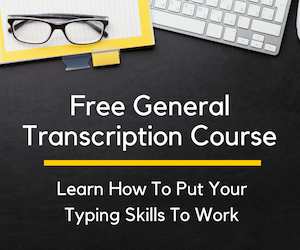 Since they’re pretty much always taking applications and they give newbies a chance to get their foot in the door in what can be a lucrative home-based profession, I’ve decided to do a full review. 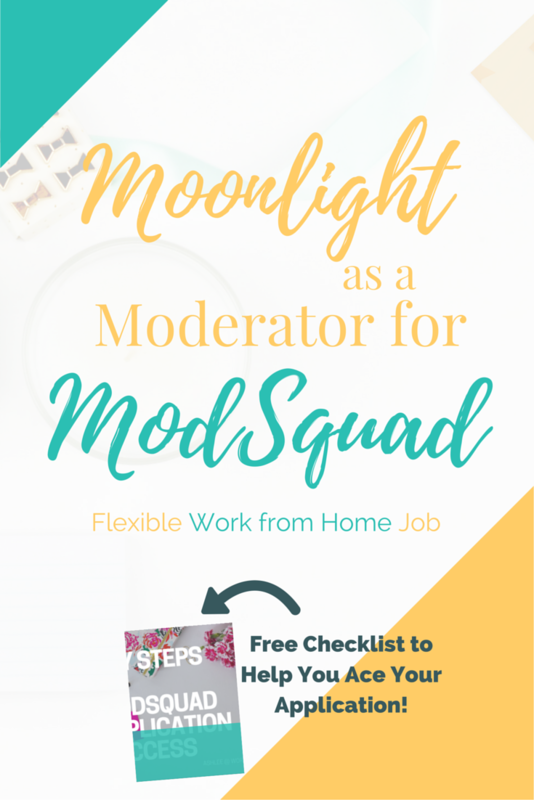 If this ends up seeming like the perfect solution to your extra income needs, there’s a free pre-application checklist that will help you knock your ModSquad application out of the park (and hopefully increase your chances of getting hired!) Ready? Let’s go get ’em. If you asked my mom, she’d tell you it was a ’60s-’70s TV crime drama about undercover cops that infiltrate various countercultures — but, no, that’s The Mod Squad. We’re talking about ModSquad, a moderation, customer support, and social media management company. Those are just some of the companies that have trusted their digital engagement in the hands of ModSquad. Which means, if you join the Mods, you too could work with these authority brands! What Work from Home Jobs are Available at ModSquad? Mods get to work on projects. And projects can be everything from moderating forums to live chats with consumers and even answering inbound calls from customers. Other projects may be more on the social side where you’ll be tasked with growing online communities or get people buzzing on social media about a site launch or a new product rollout. The good news is, once you’ve been accepted as a Mod, you’ll get to choose which projects you work on. But wait, it gets even better — not only can you choose the projects you work on, most of them allow you to set your own schedule. How’s that for flexibility? It’s also worth mentioning that projects can be a lot of fun, especially when you get to work on campaigns for some of your favorite brands! And, let’s be honest, chances are you spend a good chunk of time on social media, isn’t it about time you’re paid for your social savviness? Who’d Make a Great Mod? Good question! While all kinds of personalities and backgrounds would do well as a Mod, those familiar with digital engagement would probably fare the best. What, exactly, does that mean? Generally, you should be active online — you have several social media accounts, are known to frequent a forum or two, and can pin, post, tweet, snap and share with the best of ’em. But, using social media and other online platforms professionally also requires pretty good discretion — in other words, you need to be able to respond to others in a way that is courteous and doesn’t cause offense. Previous customer support experience should also set you up for success here since you’ll need to use customer service best practices when representing businesses and brands online. It’s always a good idea to search online and see if you can find out what current/former employees are saying about a job you’re interested in. 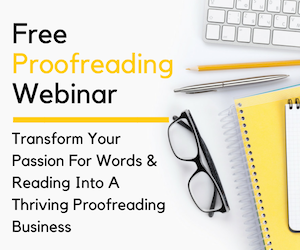 It’s especially helpful for online jobs where you’ll have to weed through potential scams or familiarize yourself with a company you’ve never heard of before. But, as with any kind of review, you’ll have to take what’s written with a grain of salt — some reviews are going to be fake and others are going to be from disgruntled former employees who have a score to settle. So, don’t just rely on reviews when making a decision on whether you’ll want to work somewhere — rather, use them as a way to build a general picture of what you might expect to encounter if you sign on as an employee, but also take into consideration things like pay, flexibility, hours, and other perks. With that being said, the reviews of ModSquad from an employee’s perspective are pretty mixed. But, overall, the general consensus is favorable. On Glassdoor, 68% of respondents would recommend the job to a friend and that same percentage are in favor of the company’s CEO. Over at Indeed, there’s not as many employee reviews but they pretty much echo what’s found on Glassdoor — fun company to work with and great opportunity to learn new skills while working flexibly from home but comes with low pay and lack of advancement opportunities. Should I Moonlight as a Mod? Ultimately, you’ll have to weigh the pros and cons before deciding whether or not ModSquad is what you’re looking for. If you’re a stay-at-home parent, student, or have a day job and are looking for a way to supplement your income — working at ModSquad definitely offers the freedom you’ll need to meet your daily responsibilities while earning extra income on the side. If, however, you’re looking for a full-time job with benefits and a set schedule, you’re not going to find that here. This isn’t a good opportunity for anyone looking for a work-from-home career since this is a per-project position that could end without warning. It’s worth mentioning that working for ModSquad can be a good way to build up your work-from-home resume. Working at ModSquad will give you experience in some of the most in-demand home-based services out there like social media management, customer service and support, digital engagement and online moderation. If these are any career paths you’d like to explore in the future, ModSquad might be a good place to start! ModSquad is a legitimate company known to pay their contractors on time. They present themselves as a fun company to be a part of and as being ahead of trends when it comes to digital engagement. This is a very flexible way to earn money outside of a day job but shouldn’t necessarily be counted on as a main source of income. If you’ve always wanted to try your hand at social media management, moderation, or online support while holding onto the security of your 9-to-5, ModSquad offers enough flexibility to do just that. Great! I’ve created a pre-application checklist that will help you sail through the application process and make sure you’ve got everything needed to make a good impression. Make sure to read the Keys to ModSquad Application Success before you apply! Do you work for ModSquad? Have you in the past? Leave your own star-based review in the comments below — it’s anonymous and will help others understand what it’s like to be a Mod. Thanks! I was looking for your preapplication checklist and couldn’t find it. I’m interested in working. Let me know if it doesn’t — I can always send you a copy. Best of luck on your ModSquad application! Thanks for sharing your review! Your honest feedback helps other out-of-the-cubicle thinkers make informed decisions before they get involved with a company.